What Is an Appropriate Gift for Your Child's Teacher? 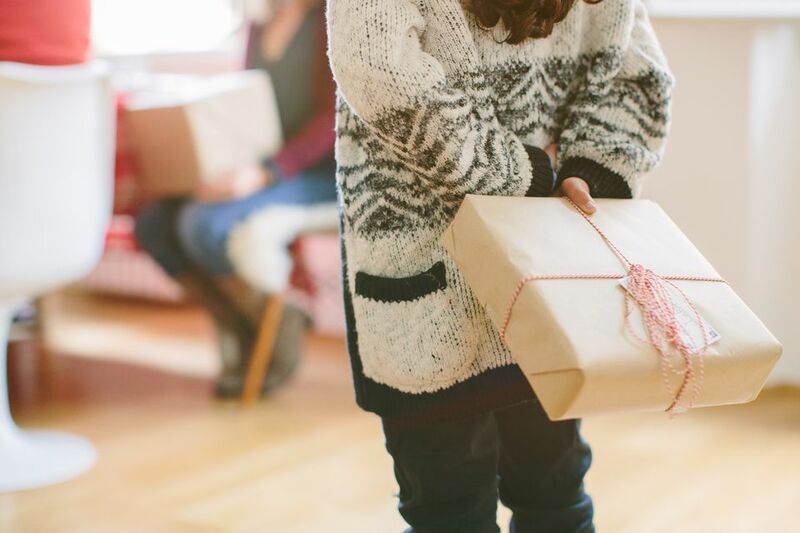 Do you ever wonder whether or not you should give your child's teacher a gift? After all, you know how hard teachers work, and you want to show your appreciation. Whether it's for a special occasion, a holiday, or just because you appreciate all the hard work and dedication, there are certain things you should keep in mind when making this decision. Most parents try to teach our children certain core values, including one of generosity. One of the best ways to demonstrate this is to offer a gift to your child’s teacher. You may want to limit it to special occasions, or you might like to give random gifts just to let the teacher know you are thinking about him or her. It’s always a good idea to put some extra thought into teacher gifts. Make sure they are appropriate and something the recipient will enjoy. This may be something the teacher can use in the classroom, take home to enjoy, or an item to put on display. Most teachers have fond memories of their experiences in the classroom, and memorabilia type gifts hold a special place in their hearts. One way to keep the gift appropriate is to get all the students to participate in one present. You’ll have the checks and balances, and no one will feel as though you are trying to bribe the teacher. As holidays and other special occasions occur throughout the year, talk to your child about what he or she thinks the teacher would like. Ask if the teacher has mentioned any special interests, hobbies, sports, or favorite pets. Thanksgiving – Although this isn’t a typical gift-giving occasion, you can show your gratitude and appreciation to the teacher by giving a Thanksgiving present before school lets out for the holiday. Some things you might want to give include a pretty handmade centerpiece, homemade treats (if that doesn’t break a school policy), or a picture of the class in a Thanksgiving-themed frame. Christmas, Hanukkah, or other religious holiday – Before offering a religious-themed gift, make sure the school allows it. If the teacher celebrates Christmas, a pretty ornament would be appropriate. A Jewish themed book or Hanukkah decoration will be appreciated by someone who celebrates Hanukkah. Most teachers of any faith would enjoy a gift card to a local restaurant. If you want to increase the value of the gift card, ask other parents to go in on it with you and list all the children’s names on the card. The gift doesn’t have to be expensive as long as it is thoughtful. Valentine’s Day – Some children absolutely adore their teachers, and they want to give them something special for Valentine’s Day to show their love. This is fine as long as the gift is appropriate and not too personal. A small box of chocolates with a handmade card is a good choice. Other gift ideas include hand lotion that the teacher can keep at his or her desk, a bookmark, or a coffee table book about the teacher’s interests. As the school year comes to a close, most students and teachers have mixed emotions. On the one hand, they’re happy to be free from homework and grading papers. On the other hand, they’ll miss their classmates, teachers, and students. For an end-of-the-year gift, choose something that will remind the teacher of the fun times you had in his or her class. Everyone enjoys a pleasant surprise, including teachers. However, randomly giving teachers presents can be a sticky situation, unless the whole class participates. If one student consistently presents things, it will seem inappropriate – as though he or she is trying to buy a grade. There are other occasions you might want to offer gifts. Show your appreciation by learning the teacher’s birthday and letting the other students know. It is also nice to honor him or her for any awards earned during the school year. Why not have all the students come up with a “thinking of you” gift day? Each child can make something to show appreciation for the teacher and present it on the same day. If a couple of the parents have some time, you can turn this into a celebration. Just make sure you don’t take up too much valuable lesson time. Don’t forget to add a thank you note, letting the teacher know how much you appreciate his or her dedication to education. No gift will ever make up for consistent bad manners, so spend some time teaching them what is expected of them in public. Never give your child's teacher a gag gift or something that may come across as an insult. An inappropriate gift is worse than not giving a gift at all. Give your children a refresher lesson in good manners before the school year begins and encourage them to use them, starting with the first day. Anything your child gives the teacher during the school year will be like icing on top of their excellent behavior.